Here is a team up we have no problem getting behind. Masked criminals and violent murder, what video game series am I talking about here? Well, on today's market, it could either be Dennaton Games' indie hit Hotline Miami or Overkill Studios' Payday games. 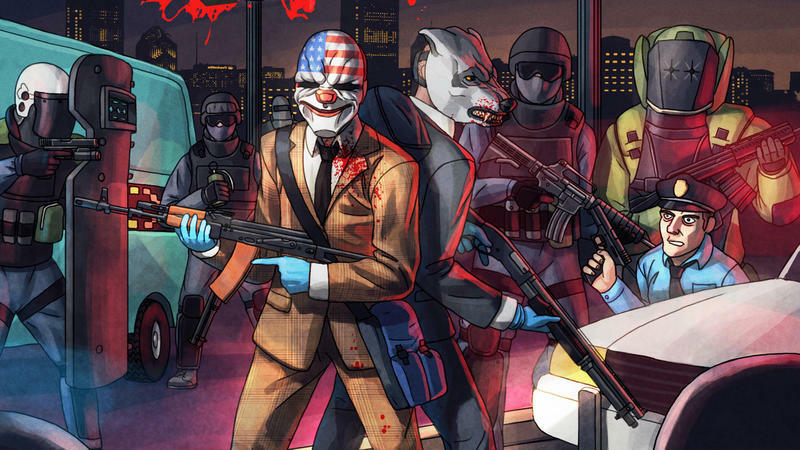 The two companies have announced a new DLC pack that will bring the masked murderers of Hotline Miami into the fast-paced heist world of Payday. The pack will be released on September 30th, and so far, it is only confirmed to have one extra mission. Hopefully, this will be more than just a skin change for the characters and Overkill really works some magic into recreating the visuals and sounds of Hotline Miami into an FPS. Oh, I would love to play through Chapter 8 "Push it" in a new perspective. The club setting and the music in that level are just of a totally different world. Overkill also has a new live action trailer, but it isn't exactly Safe For Work in the sense of language and violence. Click at your own risk. You've been warned. The Payday 2 DLC pack will be released on Sept. 30. No pricing as of yet. For those who don't know, this is the heist series that Battlefield, Grand Theft Auto, and even Assassin's Creed have been so quick to rip ideas off of. Give it a play, and give credit where it is due.